The BDS 335’s two amplifiers, rated at 50 watts per channel, power the left and right loudspeakers, which feature dual, voice-matched midrange drivers and dome tweeters for consistent sound. This amplifier-speaker combination dramatically improves the clarity and realism of directional sounds, even at high listening levels. Unlike conventional, front-firing subwoofers, the BDS 335’s 100-watt, 8-inch (200mm) sub fires downward, interacting with the floor for enhanced bass response. 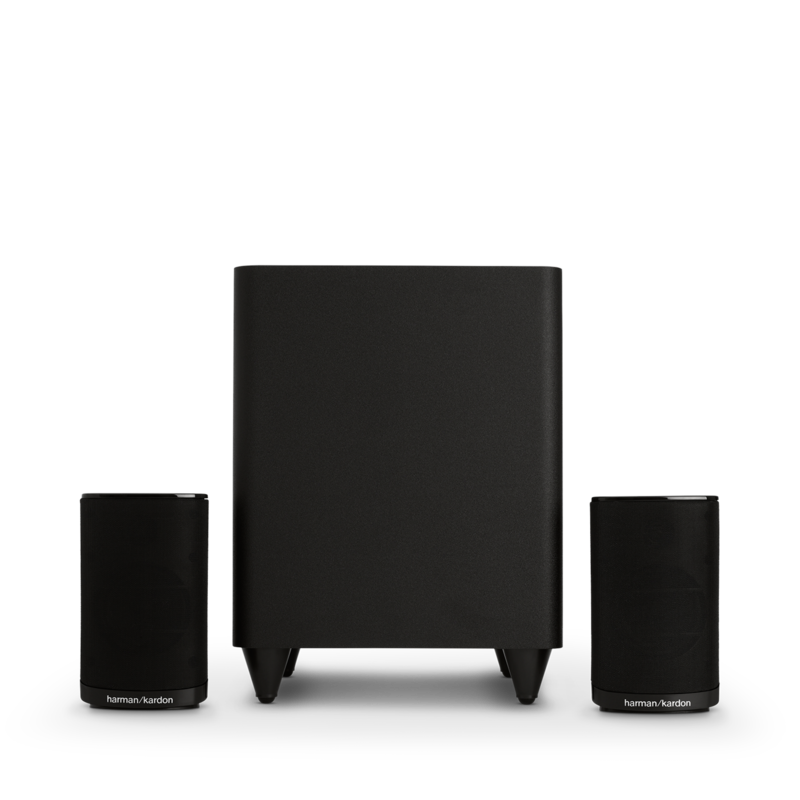 The BDS 335 is an all-in-one entertainment solution featuring two matching loudspeakers and a downward-firing, 100-watt subwoofer. 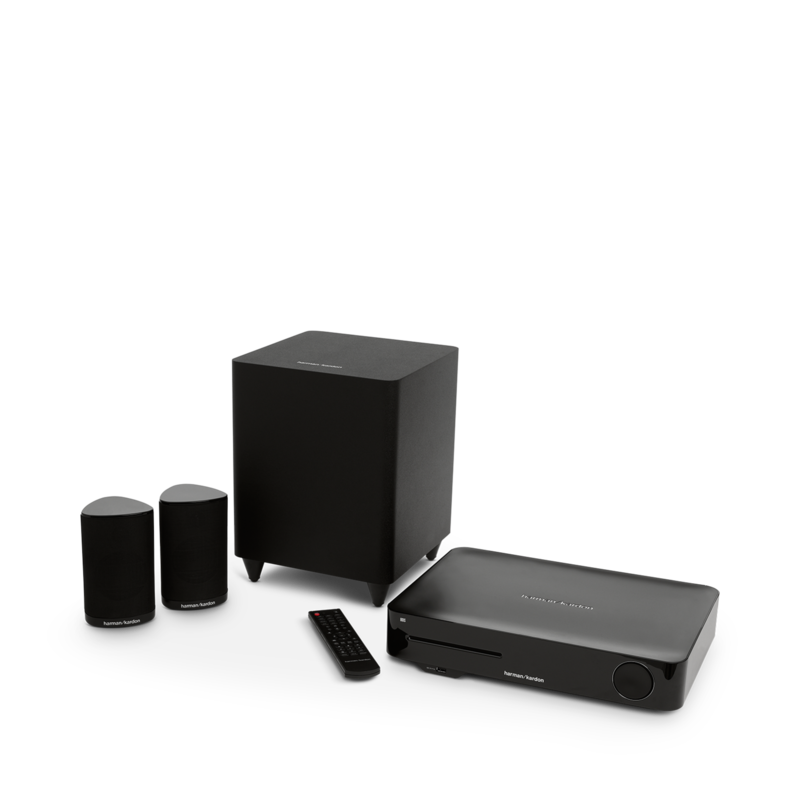 It contains everything you need for great video and surround sound from virtually any movie or music source, combining the performance of separate components with the ease of use of a single, fully integrated home theater audio system. Furthermore, if you have a UHD Television, the BDS 335 can upscale your Blu-Ray Discs to 4K resolution and optimize your viewing experience. The BDS 335 streams audio from virtually any portable device via integrated Bluetooth® and Wi-Fi® technology with MultiConnect, enabling connectivity to almost any tablet, smartphone or laptop. With MultiConnect, there’s no need to disconnect one device between streaming from a second. The BDS 335 is also compliant with DLNA 1.5 for music, photos and video, providing multiple options for delivering content over your home network. Two HDMI inputs with 3D and 30/36-bit Deep Color deliver full, high-definition digital video at resolutions up to 1080p with full-fidelity audio through a single cable. Experience no loss of video or audio quality from format conversion – just full-impact Hollywood excitement as its creators meant for you to experience it. 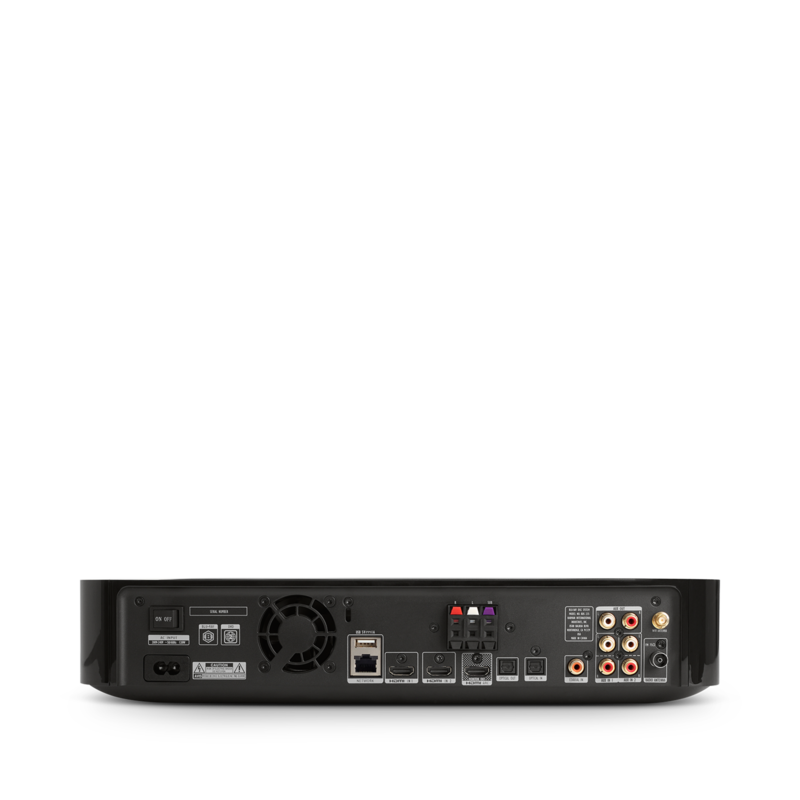 You can send sound from your TV to the BDS 335 without extra cables using HDMI Audio Return Channel (ARC). A front-facing USB port invites you to browse photos, music and movies directly without the need of an external adapter or a wireless connection. Simply connect a USB stick to play back a full complement of video and image formats from compatible USB drives, including MPEG-1, MPEG-2, MP3, WMA and JPEG. High-resolution audio to match the digital-video quality of Blu-ray Disc™ formats will unlock the full potential of movie soundtracks formatted with Dolby TrueHD and DTS Digital Surround decoding. Regardless of mode selected, you’ll applaud the exceptional audio quality realized with BDS 335 – as you make the most of your entire system. The BDS 335 broadcasts all your favorite FM radio stations as it displays what you’re listening to from its elegant front-panel display. Save your favorite stations to its 30 presets or use the auto-preset function to find and save all available stations. Enjoy internet radio on your home theater with ease using the built-in vTuner application. The BDS 335 comes equipped with a smart new user interface, optimizing your experience while simplifying the process of set-up and content access. A music system built into the home screen provides instant control over your audio, displaying album artwork and metadata during playback. A high-resolution display on the BDS 335’s front panel provides instant access to content without turning on your TV or accessing the remote. The Harman Kardon Remote app, available from the iTunes App Store for iOS® devices and the Google™ Play service for compatible Android products, extends the functionality of your system by connecting with your compatible smartphone or tablet to drive the BDS 335 – without needing to pick up the remote. It’s also the perfect tool to organize and play back your music from your mobile device and home network. If you have Harman Kardon wireless speakers such as the Omni 10 or Omni 20, getting your music to follow you around your home is easy. 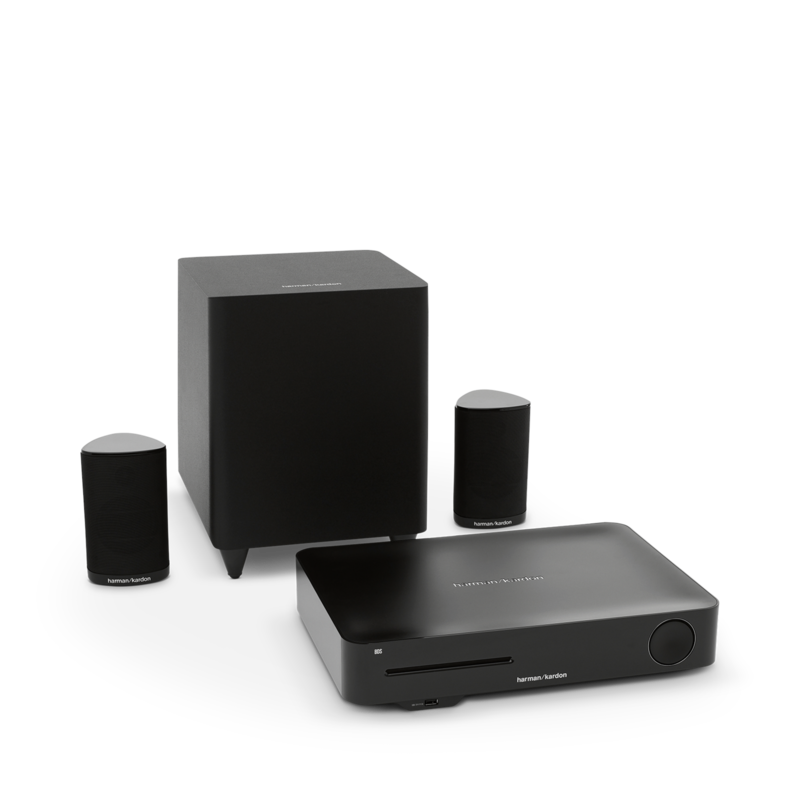 A Harman Kardon Adapt is just the add-on you need – connect it to the BDS direct audio output and link up your home theater with your Harman Kardon Wireless HD Audio System instantly. 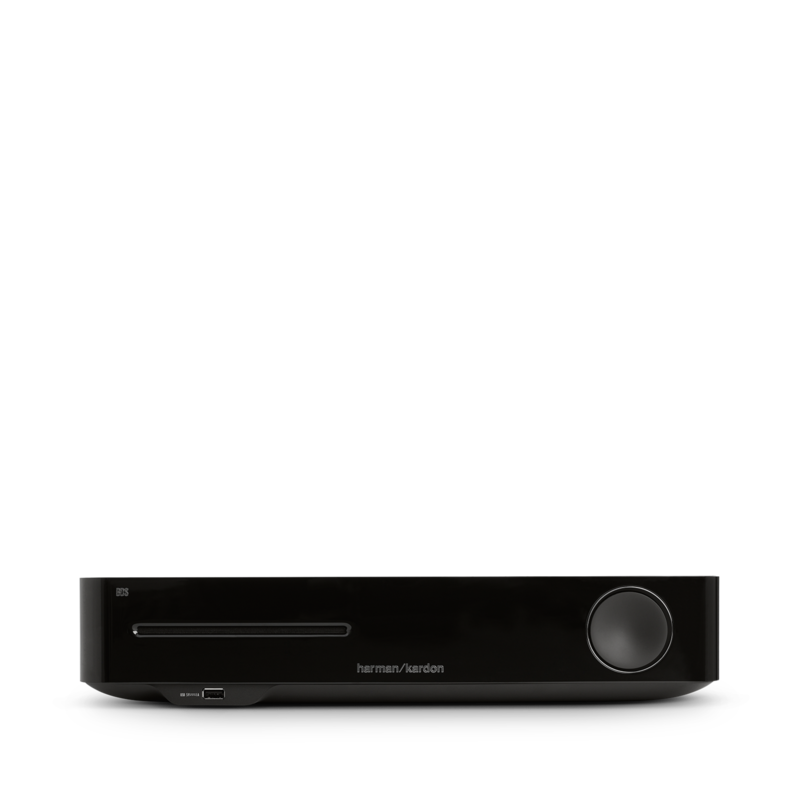 The new BDS 335 from Harman Kardon is a complete 2.1-channel, 200-watt, 4K upscaling 3D Blu-ray Disc™ System with Wi-Fi® and Bluetooth® technology. Bringing you award-winning Harman Kardon design and performance in a sleekly integrated 2.1-channel audio system, it also keeps you in sync with today’s wireless streaming technology. Upscale your Blu-Ray Discs to 4K resolution for your UHD TV and stream music via Bluetooth and Wi-Fi or from built-in apps like YouTube. Linking it to your Harman Kardon Wireless HD Audio System is easy – opt for the Harman Kardon Adapt and have your music fill every room. BDS 335 is rated 4.0 out of 5 by 14. Rated 5 out of 5 by Huppel from Empfehlung Meine Erwartung von dem Produkt wurden voll Erfüllt. Einstellung der Anlage und Inbetriebnahme waren leicht und problemlos. Klang und Raumgefühl sind super. Rated 5 out of 5 by Robeertje from Veelzijdig en mooi geluid Ik heb de BDS 335 nu een paar dagen in huis en gebruik het voor alles: radio, home cimea bij de TV, CD/DVD speler, geluid pick-up,etc. Werkelijk een fantastisch geluid en zo in te stellen dat het natuurlijk wordt. De kleine speakers meteen naast de TV gezet en de subwoofer in een hoek. Alsof het altijd zo had moeten zijn. Het geluid komt letterlijk UIT de TV en ook voor CD geeft het een ruimtelijk geluid. De afstandsbediening vergt wat puzzelwerk, maar in combinatie met het menu op de TV uiteindelijk goed in te stellen. Eén klein puntje: de knoppen van de afstandsbediening moeten iets langer ingedrukt worden om de set te laten reageren. Die van de TV reageren directer. Maar het is een weet en niet storend. Rated 5 out of 5 by Vl101 from Beautiful design Having put the 335 through its paces over the last month I can say I’m delighted with its performance. 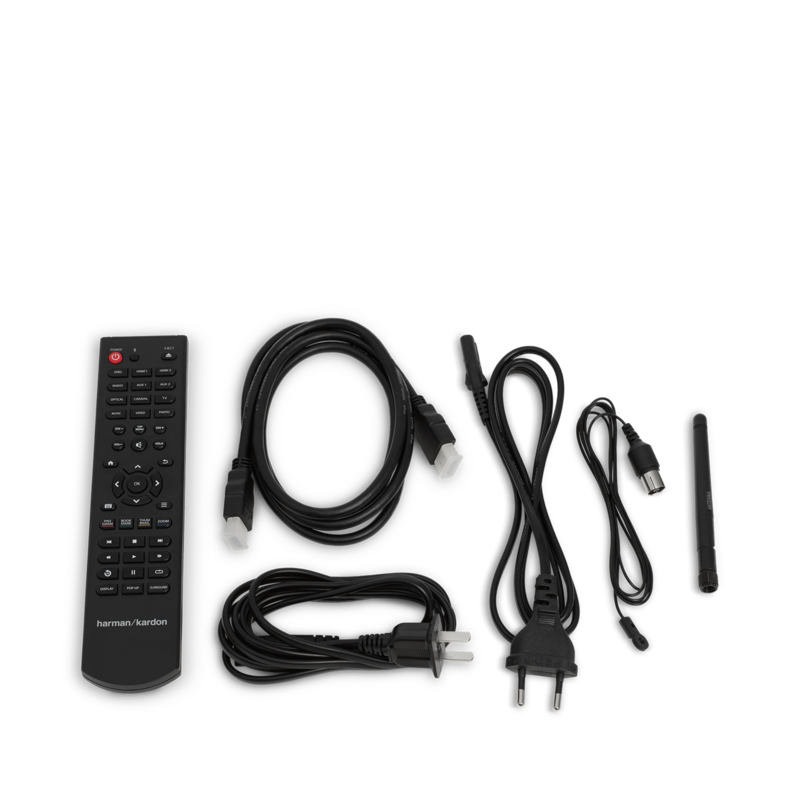 Easy to set up and works seamlessly with my TV and Sky box. The stereo sound is full and round and fills the room beautifully with a deep bass. The Bluetooth and WiFi streaming from my iPhone produces great sound with no discernible loss in effect. The performance of the CD / DVD upscale and latest Blu Ray release play back gives a fantastic deep colour true cinematic effect. All in all a top all round performer all packaged in one great looking unit. I’m delighted! Rated 1 out of 5 by Maz01 from Non I bought this product a few weeks ago, and I am very disappointed, it is weak with poor quality sound. my HK Go plus Play is better at sound output. the remote control feels cheaply built and unresponsive to my commands. I have since failed to use it on my Tv as it will not complete the setup. I believe there might be a factory fault on this product but I also believe it the weakest product HK have made. I cannot relate it to HK. Rated 4 out of 5 by Pachacutec from Bon produit Très satisfait de mon achat, Belle sonorité et bon esthétique intégration parfaite dans mon salon :) J'utilise beaucoup la diffusion de mon PC via DLNA cela fonctionne super bien. L'étoile manquante est lié au manque de l'application Microsoft. Une simple télécommande sous Windows 10 s'il vous plait !! 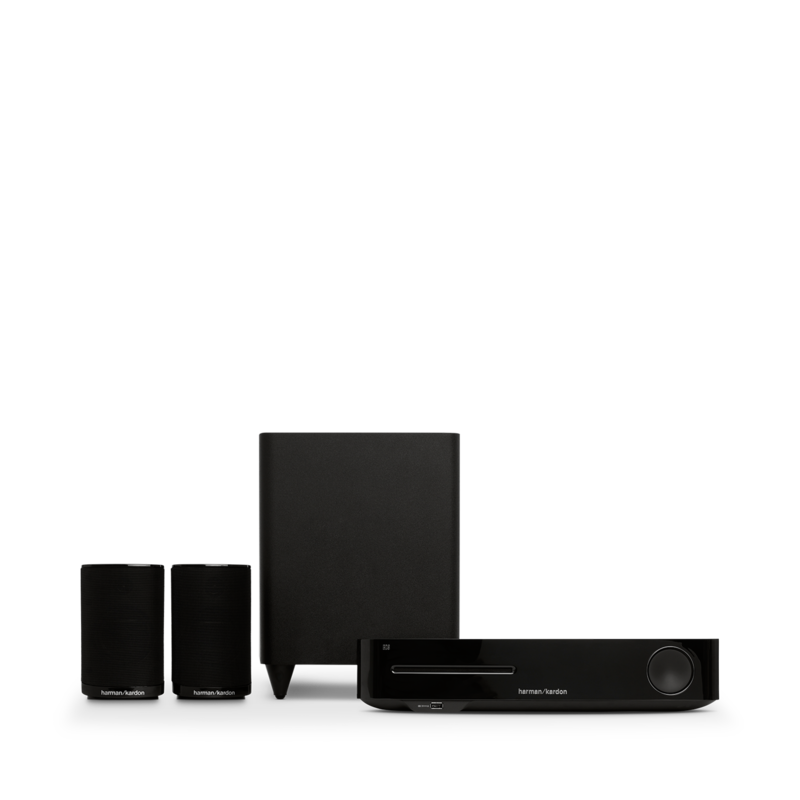 Rated 5 out of 5 by Jerzy from Harman kardon BSS 335 Very happy about all Harman Kardon products. Using only these since 6 years...music just fantastic!!!!! is it come with a active sub woofer? Thank you for your question. 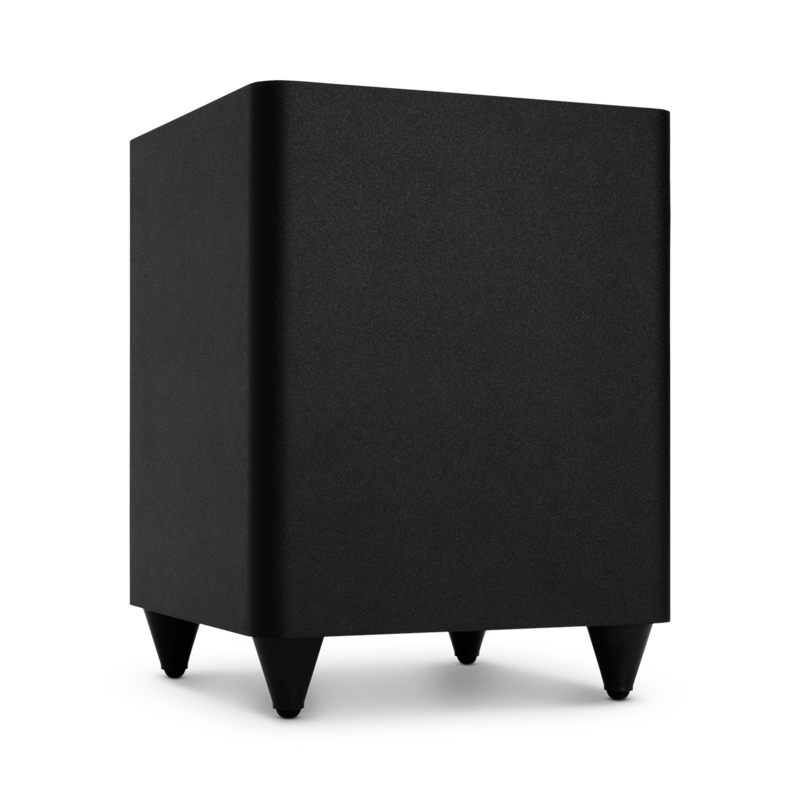 The subwoofer with the BDS335 system is passive. Please reach out to our Customer Service, if you have any other questions about this, or other Harman Kardon products. Kann ich den Radio &uuml;ber WLAN mit meinem Internet Router verbinden und dar&uuml;ber Radiosender empfangen? opent deze set automatisch het kanaal waarop op dat moment signaal op wordt gezet? maw: als ik mijn TV aan heb (op aux1) wil ik tv over de speakers horen, en als ik mijn amazon dot alexa (op aux 2) iets vraag moet hij automatisch over gaan naar aux 2. Guten Tag, unterst&uuml;tzt dieses Ger&auml;t auch die ARC-Funktion? Danke f&uuml;r ihre Frage. Das BDS 335 Heimkinosystem beinhaltet den BDS 235 Receiver und unterst&uuml;tzt die ARC Funktion. Das Ger&auml;t verf&uuml;gt &uuml;ber einen ausgewiesenen HDMI Output (ARC). Sollten Sie weitere Fragen haben, z&ouml;gern Sie nicht uns per Telefon, Email oder Chat zu kontaktieren um individuelle Hilfestellung zu erhalten. Bitte finden Sie weitere Informationen dazu unter https://de.harmanaudio.com/support-contact.html#ns. Vielen Dank. 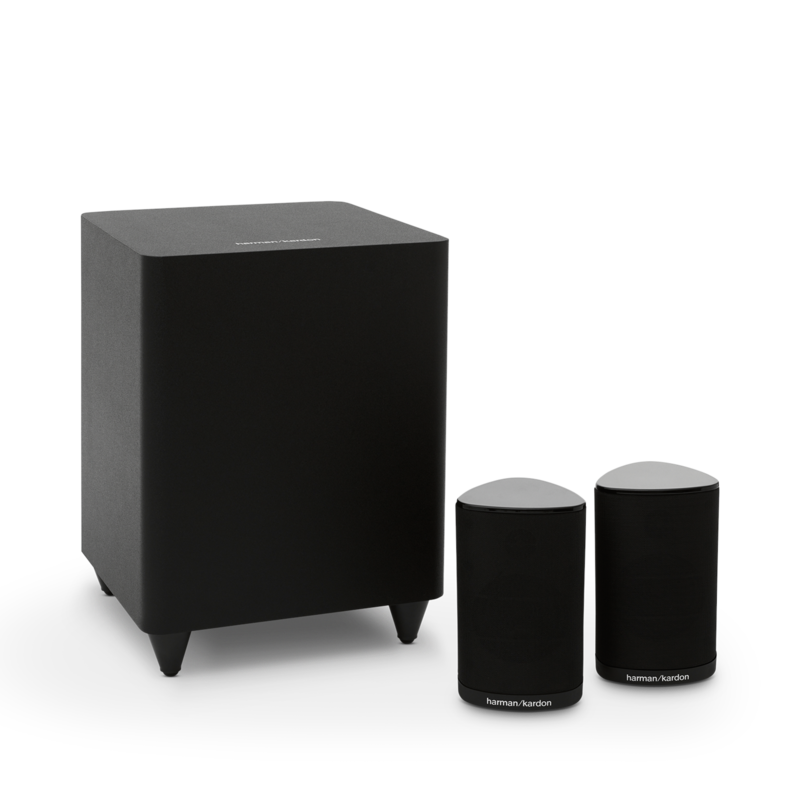 Van plan de Harman kardon BDS335 te kopen samen met een Omni 10+ en Adapt kan dit zo? De Adapt zorgt ervoor dat het geluid van m&rsquo;n home cinema klinkt door de Omni 10+? Dus de boxen van m&rsquo;n stereo maken samen geluid met de Omni 1+? Hi Het is zeker mogelijk om de BDS335 te combineren met een HK Adapt en Omni 10+ speakers. Echter is het niet mogelijk om zowel de bedraade, als ook de draadloze Omni 10+ speakers tegelijk te laten spelen. Mocht je een echt draadloos systeem met surround geluid zoeken, kijk dan een naar de Omni Bar+ samen met 2 x Omni 10+. Hi ik probeer mijn Bluetooth koptelefoon te koppelen met mijn hk set alleen dat lukt niet. Kan het eigenlijk wel? Hi, Nee, je kan geen hoofdtelefoons verbinden met de HK BDS335. De Bluetooth hardware in de BDS is een ontvanger, zodat je met een mobiele telefoon/tablet kan verbinden en audio naar de BDS kan streamen. Het is geen zender, dus audio kan niet via Bluetooth worden verstuurd naar andere apparaten, zoals een hoofdtelefoon. Du kan hitta svaret p&aring; dina fr&aring;gor under produktets Q&amp;A eller i v&aring;r kunskapsbas. Om du beh&ouml;ver ytterligare assistans kan du kontakta v&aring;r kundsupport under 'Support' p&aring; toppen av denna sida. Ostin ko. kotiteatterin ja liitin sen LG: n UHD-televisioon. Ostin nyt j&auml;lkeenp&auml;in langattomat JBL:n kuulokkeet. Pystynk&ouml; liitt&auml;m&auml;&auml;n kuulokkeet bluetoothilla niin ett&auml; voin kuunnella televisiota kotiteatterin kautta kuulokkeillani? En saa niit&auml; toimimaan.